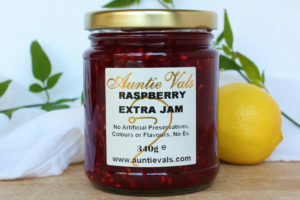 Auntie Val’s Jam’s are made with fruit, sugar, lemon juice and sometimes a little water and nothing else. All top fruit is English and often from surrounding orchards. All made the Auntie Val’s way! 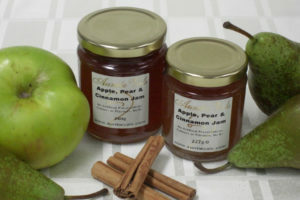 Apple Pear and Cinnamon, This is popular jam any time of year but especially at Christmas. 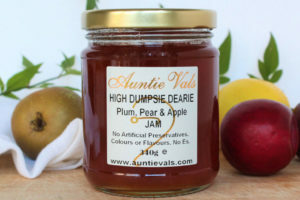 High Dumpsie Dearie, an old Sussex recipe, containing Plum, Pear and Apple, a wonderful combination! 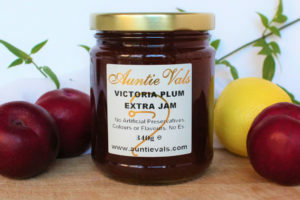 Victoria Plum, this seasonal favourite is unbeatable! 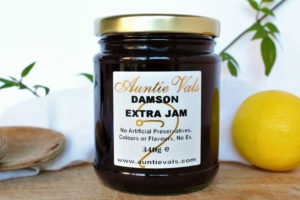 Damson Extra Jam, another traditional jam full of flavour, you can’t beat it! 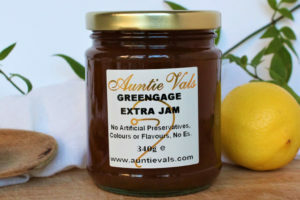 Greengage Jam, this flavour is exceptionally good! 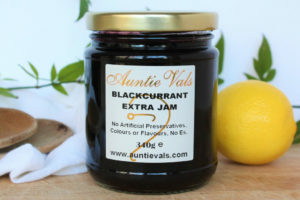 Blackcurrant, this jam is so full of flavour, because Auntie Val cooks it in her special Artisan way! Raspberry Extra Jam, Zingy, Full Flavoured and brightly coloured.. Strawberry & Vanilla, what a combination, makes you think of summer days. 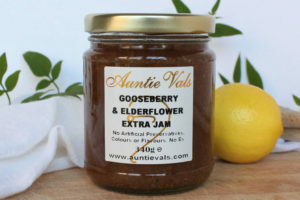 Gooseberry and Elderflower, Good old Gooseberry, with the delectable taste of Elderflower. 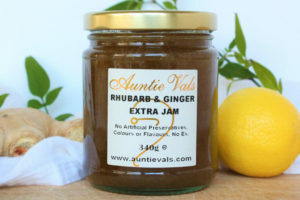 Rhubarb and Ginger Extra Jam, a good old favourite! Seriously Ginger Jam, a special recipe, for ginger lovers, everywhere, with a hint of cinnamon. 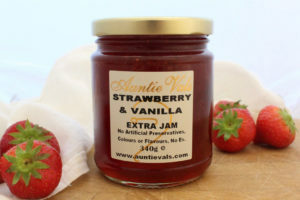 Luxury Strawberry Jam, made with English Strawberries this is a seasonal jam so when its gone its gone. 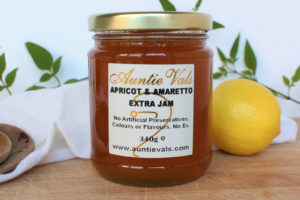 Apricot and Amaretto, this is amazing, try using like marmalade onto hot buttered toast.